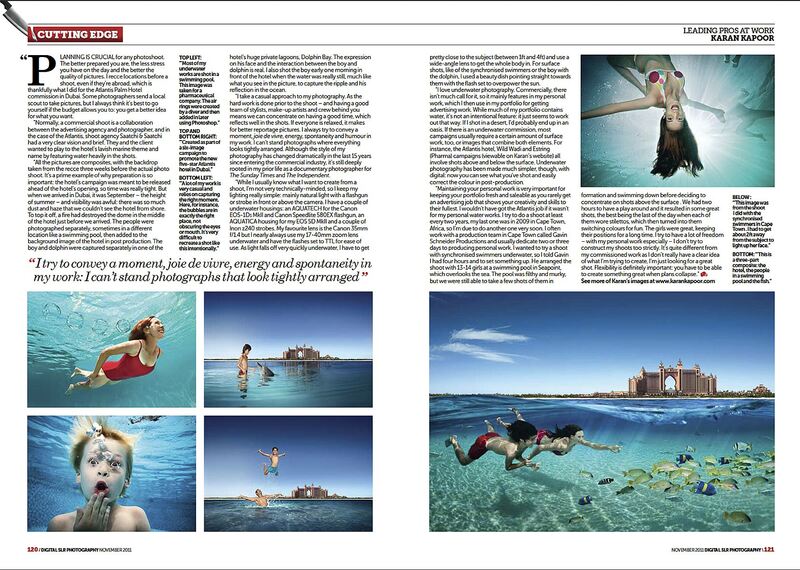 The UK’s Digital SLR Magazine interviewed Karan Kapoor about the extensive underwater photography that he’s done for clients like Pfizer and Atlantis Resorts. This entry was posted on Monday, November 21st, 2011 at 9:42 am	and is filed under Photographers. You can follow any comments to this entry through the RSS 2.0 feed. Both comments and pings are currently closed.